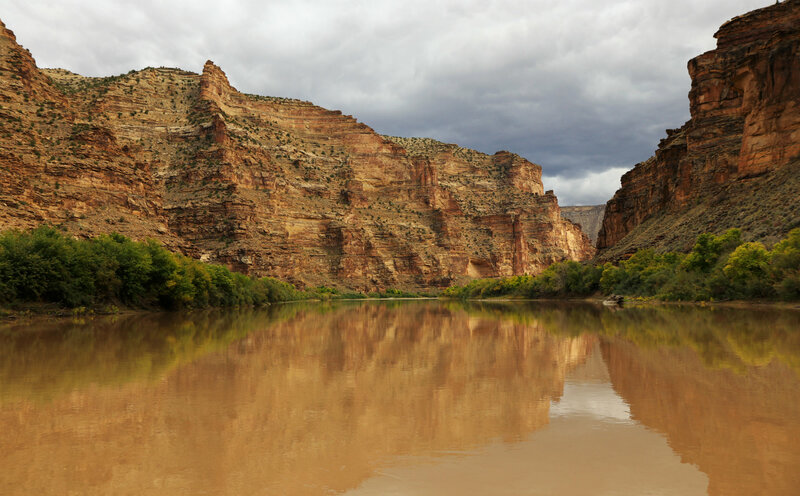 Anyone who is familiar with Dinosaur National Monument and the Green River has likely heard of Herm Hoops. 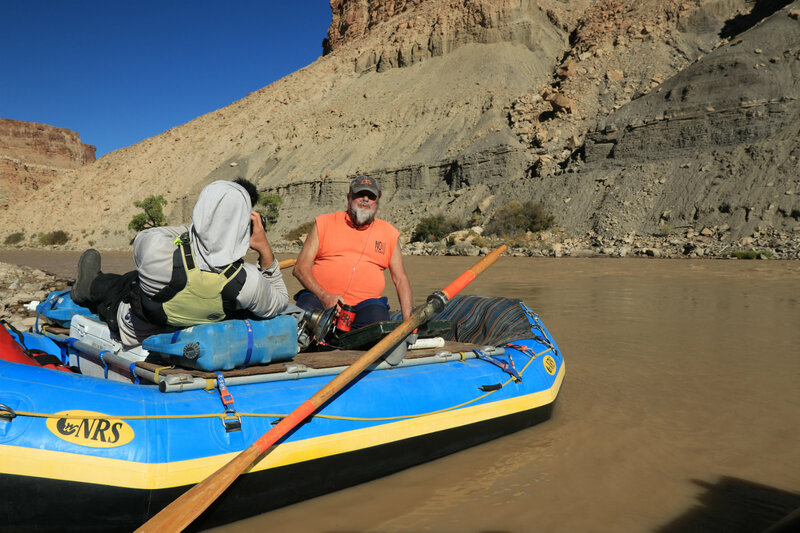 He has become the proverbial troll that sits at the Jensen bridge, demanding the boaters that wish to access Desolation Canyon below to listen to his stories. Herm has always been a mentor leading a willing younger generation into a purposeful life of river stewardship. His professional work is most recognized in Dinosaur National Monument, where he worked as a ranger, educator and interpreter. There are still remnants of his time there in the form of educational signage and his lyrical storytelling. He has long since retired but remains close to his first Western love, Echo Park, and returns repeatedly to Desolation Canyon in search of the heart he left behind as a young man. I first met Herm when he was kind enough to play a role of support as a resupplier on a river trip I was on. 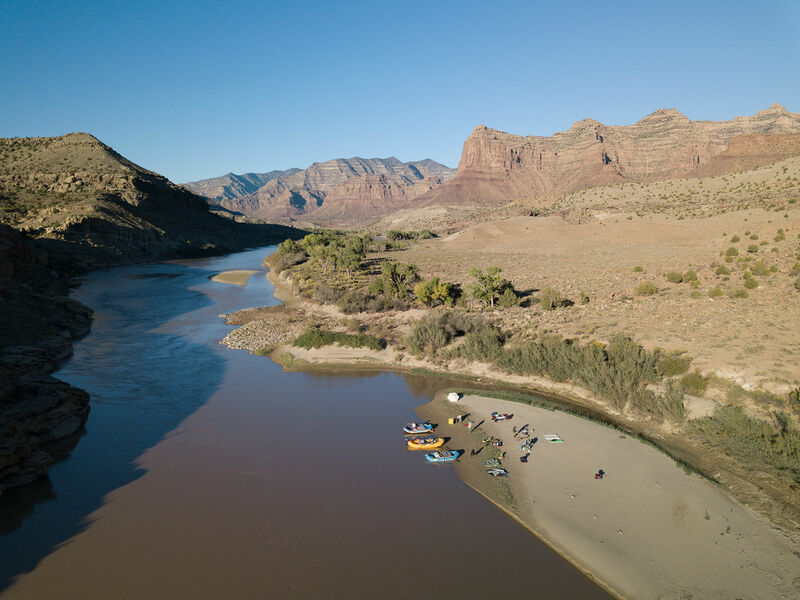 We were doing a recreation survey along the entire length of the Green River—a 32-day float trip from Yampa Canyon in Northwest Colorado to the Hite Marina of Utah’s Lake Powell. He showed up in a beat-up pickup, grinning from ear to ear, which barely showed from behind the bushy beard he often keeps. Still smiling, he hollered at us to jump in the back of the truck and took us to the gas station in Jensen to get milkshakes. He spoke loudly and deliberately offensive—a personality perfectly suited for environmental advocacy. The next time I saw Hoops was three years later, his body was betraying him, and his battle against prostate cancer was taking everything he had left to give. 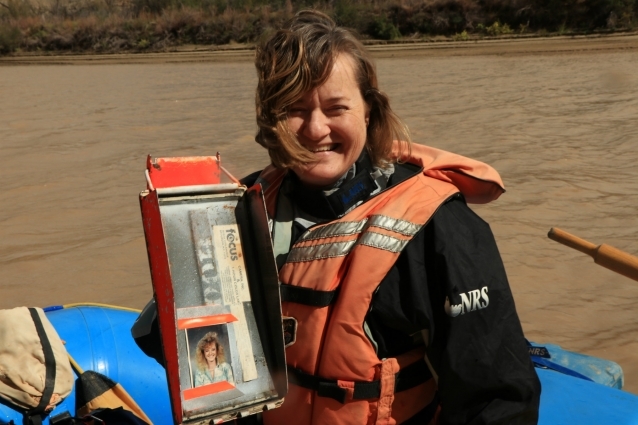 It’s hard to identify if the lifestyle of being a river guide or living in close proximity to fracking and oil extraction sites caused the cancer. How he managed to still be his boisterous self, amazed me. 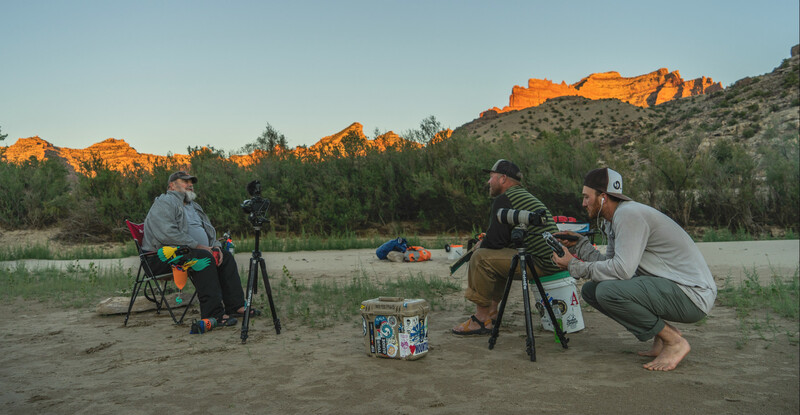 We were being reunited for a specific purpose: The film crew of Rig to Flip, a river-focused media company, and I were setting out to take him on what he had told us was to be his last river trip through Desolation and Gray Canyon. 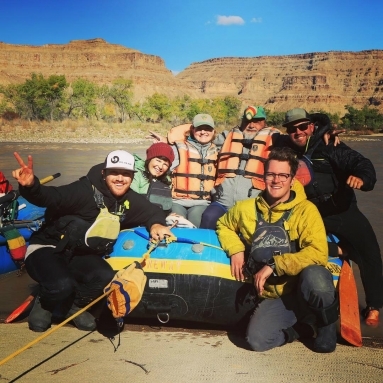 The Creative Director and co-founder of Rig to Flip, Cody Perry, knew Hoops was going to be receiving recognition by the River Management Society for Outstanding Contribution to River Management—he was singled out and honored among his peers. To commemorate the events leading up to the award ceremony, Rig To Flip had been collecting interviews with Herm about the place he lovingly refers to as Desperation/Play Canyon. It was his 123rd trip on this stretch of river—although Herm would be quick to tell you he doesn’t keep count. You could see in his eyes how many intimate memories the canyon and Hoops held together. We embarked on this trip to honor an elder in our community—to help fulfill his wishes to experience the river the best way he knows how. We were representing our generation and sharing this time with an elder who will come to be remembered as a fixture in this canyon—an unforgettable character who has become as ingrained in the canyon walls as the petroglyphs and wren nests. When the time came, we met up with Herm at Sand Wash the night before we launched. He was chatting with the Rangers, warm inside the ranger’s cabin, reminiscing about old times and talking about current camp conditions. The river peaked at 13,000 cubic feet per second (cfs) this year, low in comparison to any previous year. The rangers empathetically talked about the stress on the fish and how they only found them cowering in shady holes—for the first time in history, the government established restrictions on fishing, swimming and irrigation. It wasn’t said, but one could tell by the weight in the room this could be expected to be the new norm. Herm wanted to rig and row his own boat the entire length of the five-day, four-night trip. When we arrived at the boat ramp at Sand Wash, Herm’s boat was rigged and ready. He didn’t want to go down any other way. We can only assume the years of routine served him well as he slowly rigged his boat in his garage over the course of days, perhaps even weeks. The only new additions were the five oxygen tanks and the jerry-rigged lawnmower battery which powered them that he had never previously needed. Herm’s wife showing the inside of Herm’s ammo can. He never goes on a trip without bringing his wife along in some way. 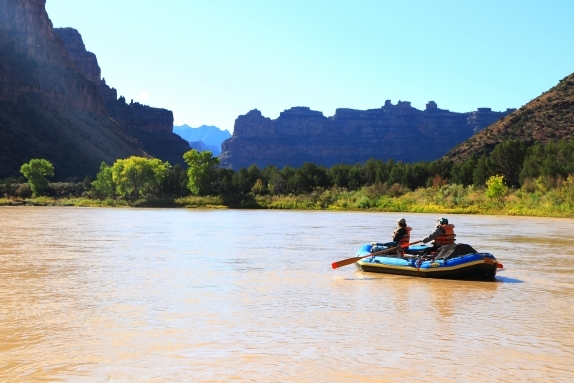 It allowed for him to take part in traditions he had acquired throughout the years just one last time—bacon and doughnuts for breakfast (every morning), running the rapids with his iconic toucan hat on, and silent morning floats without paddling, just for the sake of listening to the life of the canyon. 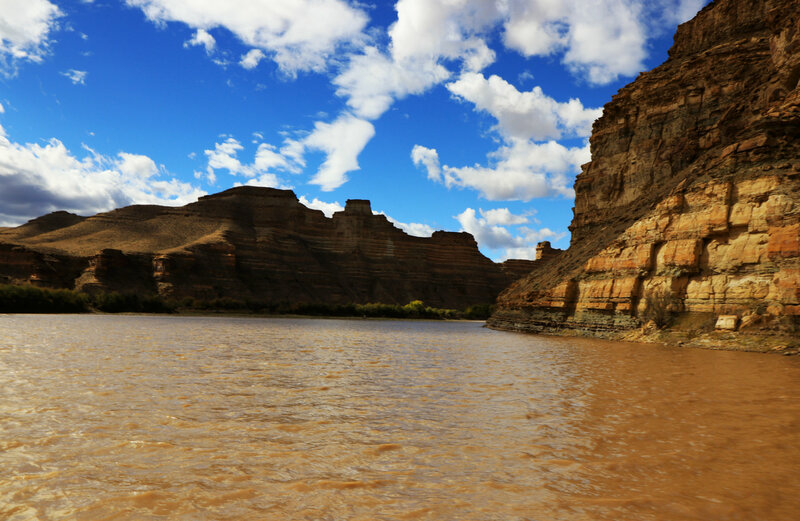 This trip was his way of saying goodbye to the only thing he held as dear as his wife: his affair with the Green River. As Herm reflected on his time as a park ranger at Dinosaur National Monument, he mentioned how they’re retiring some of the signage he had created. He jokingly said, “We were both being thrown in the garbage,” as they entered into retirement. Beaten by the desert sun, updated and revamped markers replace the old. Some of these postings were hand built by Herm—visualizations of biodegradability of certain items, poems and drawings by the children he had taught, as well as Herm’s own personal poetic contributions about the connection to place. The way he described it was as if he was watching his priceless legacy pass away before he did. As environmental advocates, we are often asked what our end goal is and what we want our legacy to be. For some, those thoughts adhere to the “leave no trace” traditions, wanting places to remain as they were when they found them. 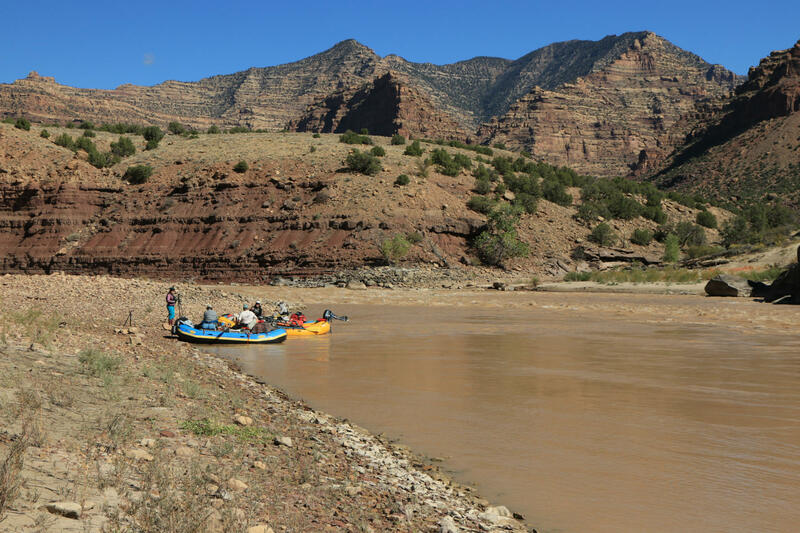 Herm Hoops’s goal was to make places like Desolation Canyon and Dinosaur National Monument more available and accessible to those that don’t typically recreate in the outdoors. Since the beginning of his career in the 1960s, he set his vision on diversity and inclusion. As we helped Herm load his boat at the take out, I couldn’t help but ask myself what final thoughts he was leaving with. On his drive back to his home in Jensen, Utah, he would pass the oil fields he watched grow for decades, full of the pumpjacks he couldn’t prevent from marching toward his beloved open spaces. He would drive up and over the swell known as the Tavaputs, until the Uinta Mountains came into view and wonder if it was worth it. Was it worth devoting his entire life to? Herm Hoops’ generation established NEPA and passed the Wilderness Act, the Clean Air and Clean Water Act. Those of the same generation serve our current administration. How is it that we are operating retroactively? He is in tears as the end of the trip nears. 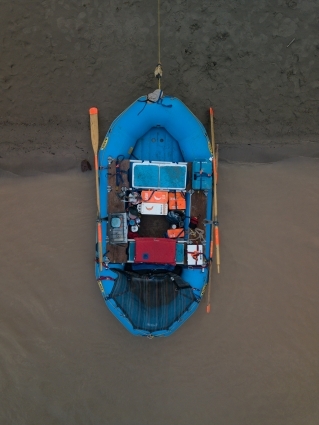 I can tell the weight of the trip is feeling heavy, his concerns on his dwindling supply of oxygen and his focus on cherishing what may be his last time at the oars of his boat. In his lifetime of working in the parks, he has seen numerous petitions for dams on the Yampa and Green rivers, the implementation of drone technology as a surveying tool, and the disappearance of native fish and wildlife. Once wielding letter writing as his weapon of choice, Herm has increased his reach using mass emails to the river running community to instigate action and change. For Hoop, now tied to the river banks, it is his only way to access the river community anymore—through the power of his words, his language, his voice. Even when he can no longer visit the lands he feels the need to protect, he will continue to fight and advocate for the plants, rivers and animals that can’t speak for themselves. Traditions and rituals are the things that keep us coming back to these places—the places that nourish our souls and bring together our misfit clans that we call our river family. While Herm grapples with a lifetime of giving to the canyons he loves so dear, he weighted us with the task of carrying on the torch for the land, rivers, and maybe even for him. He has endowed upon us a lifetime of stories and memories that can serve as a voice of the past to advocate for the protection of public lands in the future. Editor’s Note: Guest contributor Whitney Chandler is an environmental educator and freelance writer who is passionate about ecology, conservation and inspiring the next generation of environmental advocates. “Herm Hoops Last Stand” was first published on Medium. All photos courtesy of Rig to Flip. Be sure to check out the film Salad Days: The Illustrious River Career of Herman Hoops premiering Fall 2019.